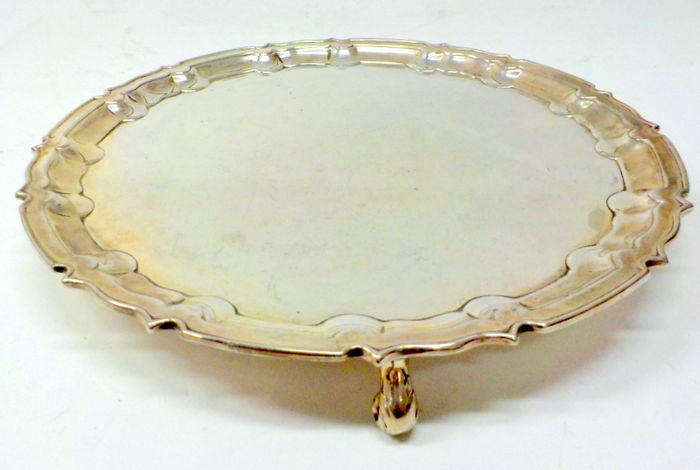 The Silversmiths Company was founded in Birmingham by William Hutton in 1800 and moved to Sheffield in 1832. 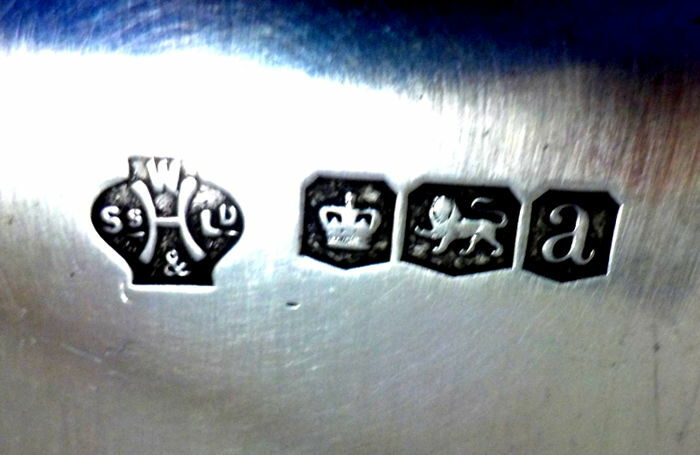 After his death, the business was continued by his son William Carr Hutton until 1864, when the name was changed to William Hutton & Son. 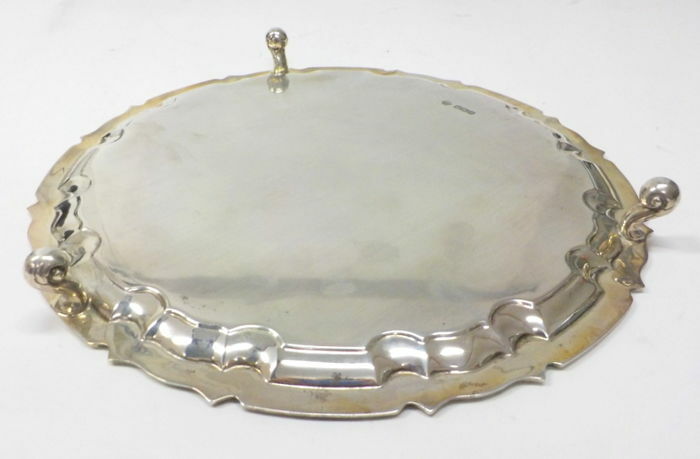 In 1863, in London, the showroom was opened until 1918 and the name was changed to William Hutton & Sons. 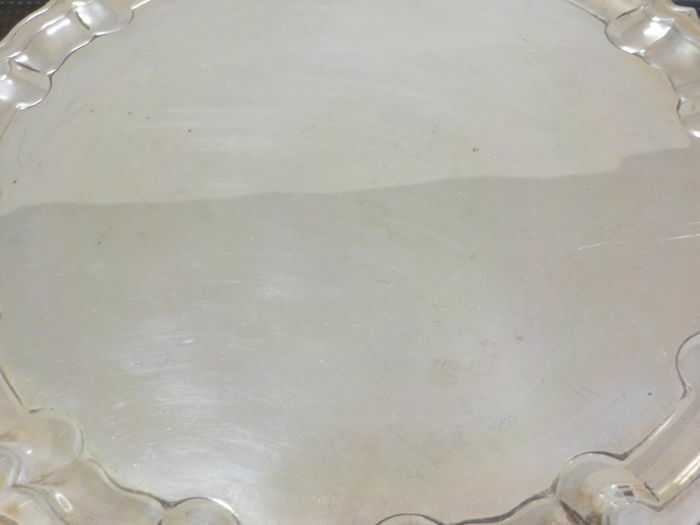 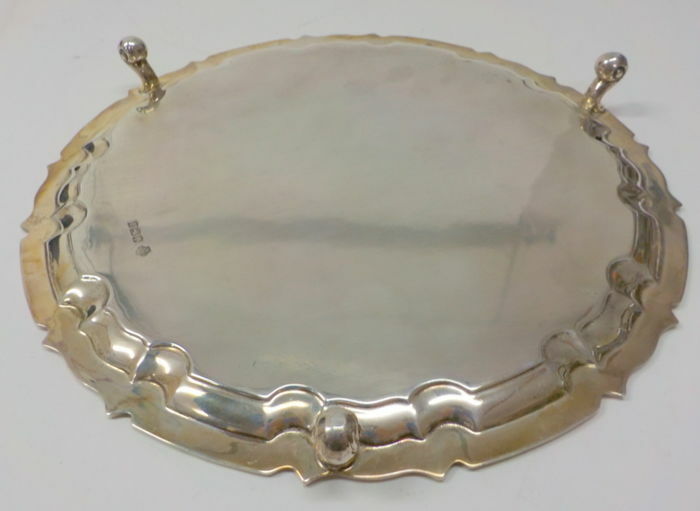 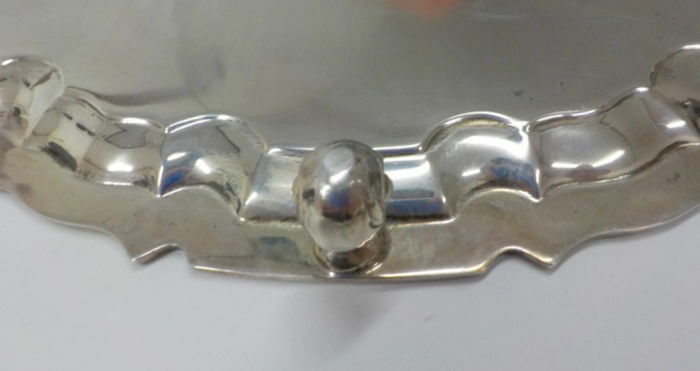 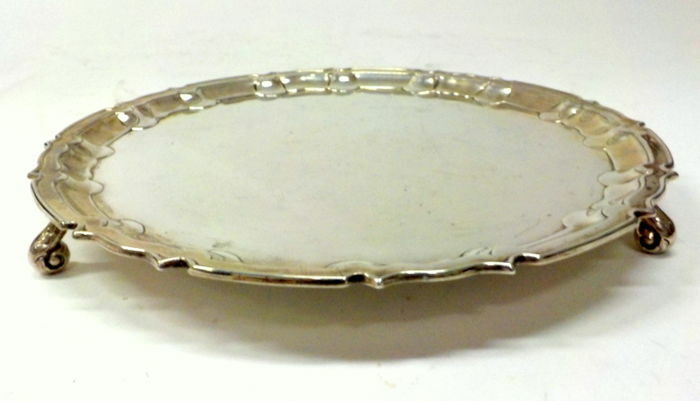 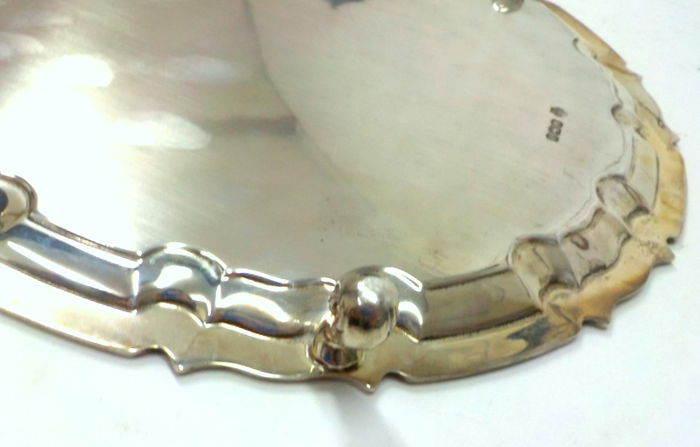 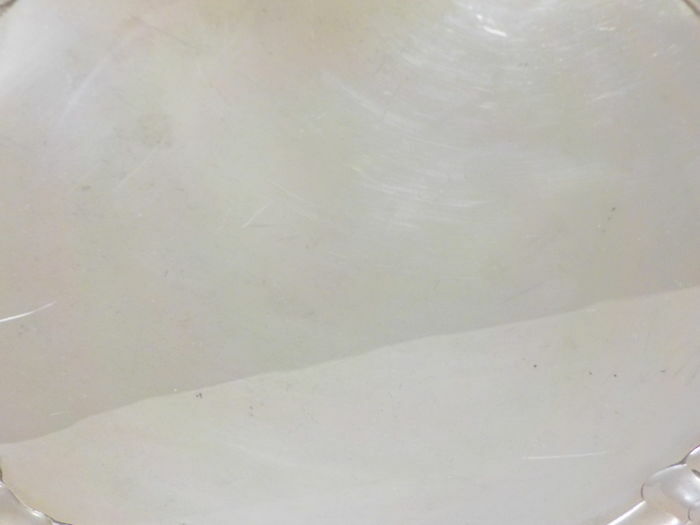 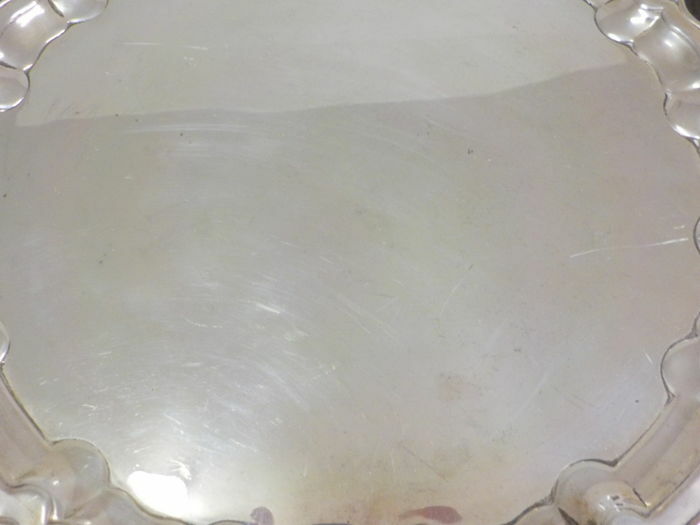 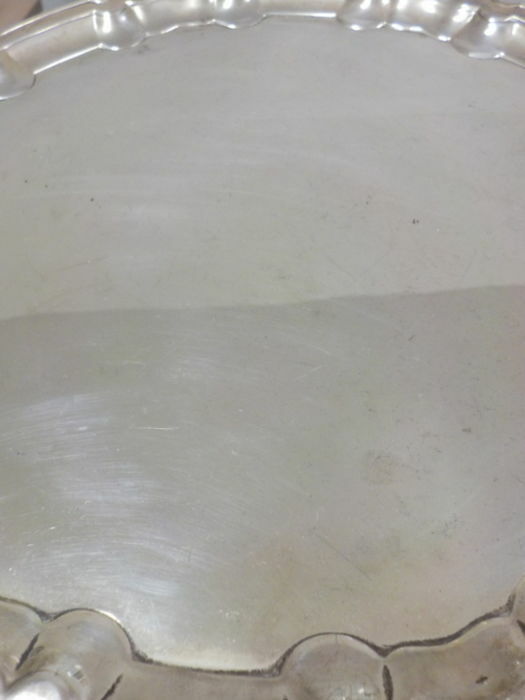 The elegant little silver tray rests on spherical feet, while the circular plane, at front and back, with border decorated with double undulations, has some slight scratches. 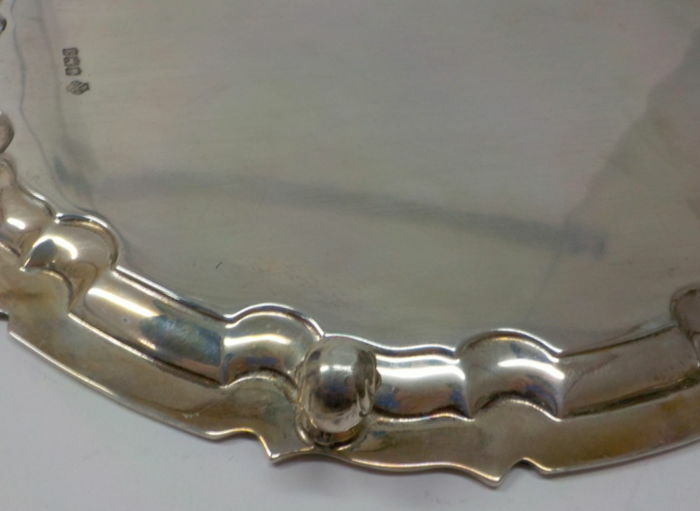 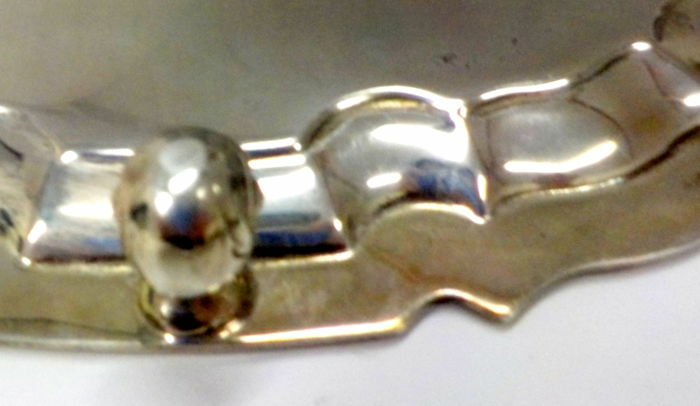 It belongs to the Epoch Art Nouveau, and is dated, on the back, by the various Sheffield silver marks, to 1918.